Historic preservation is an increasingly vital force for creating a more humane and equitable world. Since 1997, the University of Kentucky has trained students for careers in the field. If you believe the path toward sustainability demands more effective conservation of existing resources, we invite you to give us a look. Our curriculum prepares students to lead in forging inclusive communities, protecting cultural and natural resources, and revitalizing undervalued properties. At a time of rapid social and environmental change, the skills and knowledge that preservation specialists possess are more important than ever. The University of Kentucky Department of Historic Preservation has two curricular offerings. The Master of Historic Preservation (MHP) is a 48-credit graduate degree that prepares students for professional careers in historic preservation and closely related fields. Students take a rigorous sequence of courses that explores the history of American architecture and landscape design, contemporary forms of preservation practice, and specialized topics such as adaptive reuse, preservation planning, and social and environmental justice. Students also complete a capstone project involving original research on a major preservation problem. Small class sizes, an interdisciplinary environment, and close working relationships with faculty distinguish the program. The online Graduate Certificate in Historic Preservation offers foundational training in historic preservation to students worldwide. Designed for working professionals who wish to expand their range of expertise, the certificate is a 12-credit program that consists of two core courses and two electives. All students take HP 601, Introduction to Historic Preservation, and HP 602, Historic Preservation Law. 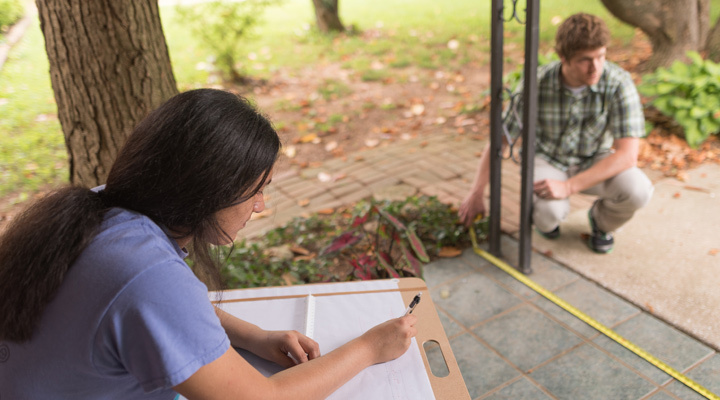 Courses in architectural history, cultural resource management, historic preservation planning, and adaptive reuse are routinely offered as electives. The city of Lexington and the renowned Bluegrass landscape offer students access to a wide range of historic resources. Extensive collections of 19th- and 20th-century architecture, a large number of historic sites, and proximity to cities such as Frankfort, Louisville, and Cincinnati create an exceptional setting for preservation education. Close relationships with private firms, nonprofit organizations, and government agencies provide opportunities for internships, part-time employment, and applied learning. The University of Kentucky is a major research university with strong support for graduate education. Students benefit from excellent research facilities, an active lecture and workshops series, and access to cutting-edge technology. Graduates of the MHP have achieved an outstanding record of success. Many are employed with architecture, engineering, and cultural resource management firms; state, federal, and local agencies; and nonprofit organizations. In recent years, MHP recipients have generally obtained professional employment within a year of graduation. A strong alumni network assists new graduates with their job search. Interested in learning more? Go to design.uky.edu/historic-preservation or call (859) 257-7617.